If you’ve ever experienced the bliss of that first mouthful of a light and airy soufflé or savored the tangy delight of a home made lemon meringue pie, then you have enjoyed the benefits that a good whisk brings to the kitchen. It is commonly accepted that the earliest whisks were nothing more than small bundles of twigs tied together, fashioned similarly to small brooms. The whisk had its humble beginnings, and was widely used, in Europe, and their function has remained largely the same throughout history. Many credit Julia Child with introducing the whip, as she referred to them, to North American kitchens in the 1960’s. 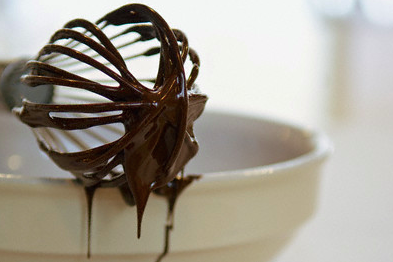 Today, most hand held whisks consist of a series of looped wires that are joined and held together with a long handle. This culinary tool generally used to emulsify, as in the case of good vinaigrette, or aerate, as in whipping cream for your trifle, has become a common staple in most kitchens. They come in different sizes for different applications and are usually made out of stainless steel, though silicon whisks are growing in popularity. The highest quality whisks have a sealed handle to prevent liquid or food from seeping in. A whisk embracing a bowl of egg whites is a romance of sorts. Brisk whisking action creates small vacuums behind each wire on a whisk, and air is married into a mixture that, in the case of egg whites, produce frothy peaks resembling white dressed pine tree tops after a fresh snowfall. While there are many whisks available to choose from, there are a few more commonly used and sufficient for most applications. The French Whisk is possibly the most widely used whisk. This teardrop shaped, all-purpose whisk is good for emulsifying, aerating and beating, and is efficient at making contact with the edges of a bowl. The Balloon Whisk is very similar to the French whisk but more bulbous on the end, and used for many of the same purposes. The Flat Whisk, primarily flat as its name suggests with a slight upward curve at the end, is best used to stir the perfect hollandaise sauce or make a roux, as most of the surface of the whisk can stay in contact with a pan when constant stirring is in order. This whisk helps produce a smooth finish. The Chasen is a specialty whisk used for whipping green matcha powder into a froth to add to tea. It is fashioned from a single piece of white bamboo and is becoming increasingly popular in North America as our love of tea grows. This whisk has anywhere from 60 to 120 prongs that help incorporate air into the green matcha mixture. Outfitting a kitchen to meet your needs can sometimes be a daunting process, but it’s good to know that acquiring the right whisk can be simple. By popping a couple into your counter canister you instantly give your space culinary charm, and you’ll be prepared to whip up a mousse or prep for the perfect soufflé at a moments notice.